Older: Russia is Best Positioned to Control Syria’s Chemical Frankenstein Newer: Russia’s Future in Central Asia: Mall Cop in A Chinese Shopping Center? With Syria, Can Russia’s President Move from Vlad the Impaler to Putin the Peacemaker? 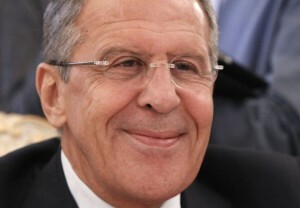 Vladimir Putin’s Foreign Minister, Sergey Lavrov, has a rare smile this week. Will it last? Vladimir Putin seems to enjoy being demonized by the West. In recent months, he has earned his share: bullying gay people, cracking down on democrats, throwing girl rockers in jail, and emerging as number one friend to Syria’s president, Bashar al-Assad. In Syria, Putin just performed the old Soviet trick — helping to create a standoff, then winning international applause for performing diplomatic magic tricks to solve it. By leaning heavily on its client, the Assad regime, Moscow has maneuvered Damascus into admitting for the first time that it possesses chemical weapons and then signing the international treaty banning their production and use. Now, if the script holds, Syria is to release an inventory of its chemical stocks and production facilities by the end of this week, and to destroy them all by the middle of next year. This ambitious project involves about 1,000 tons of poison, located in 50 sites sprinkled across a landscape gripped by war. For those who have been on the beach, the game changing event was the Aug. 21 use of sarin gas against five opposition-controlled communities near Damascus. Rockets were fired at a time to achieve maximum mortality – at 2:30 in the morning when residents were sleeping and when nighttime temperatures were falling. That kept the gas low to the ground, creeping into bedrooms. Within 24 hours, more than 1,400 people were dead and thousands more injured. This attack triggered the threat of American military response. That prompted the Kremlin to make its diplomatic moves. Undoubtedly, we will now watch plenty of cheating by Damascus on the destruction timetable. But now the $64 question is Moscow is about a next step: Will the Kremlin pressure its Syrian ally to negotiate a political end to Syria’s costly civil war? In coming days, the conversation on the ground will change in Syria. Commanders on both sides will negotiate local ceasefires, safe passage corridors, the entry of foreign chemical weapons disposal experts and, possibly, international peacekeepers. If the fighting takes a pause, the thinking goes, Russia could next push its Syrian clients to forge a political solution. After 14 years of rebuilding Russia, does President Putin want to remain an embittered leader of a former superpower, carping from the sidelines? Or become the responsible leader of great nation cooperating for a solution? The most realistic solution for Syria may be to cut the country in half. Syria’s borders were artificially drawn in 1916 by French and British diplomats bent on carving up the collapsing Ottoman Empire. One century later, today’s diplomats could create a Syrian rump state based around the Alawites, the current rulers. The rest could become a Sunni-majority hinterland, with a port on the Mediterranean. Syria’s Kurds could potentially join their Turkish or Iraqi cousins. It would not be pretty. But the division of Cyprus is not pretty. And it has kept Turks and Greeks from killing each other there for almost 40 years. For those who worship on altar of nationalism, this is heresy. But states come and go. Where today are Yugoslavia, Czechoslovakia, East Germany, and the Soviet Union? Syria itself briefly abdicated sovereignty, forming a political union with Egypt, from 1958 to 1961. Advocates of a political solution take false comfort in the feel good mantra that “there is no military solution in Syria.” Oh, no? Here is a short list of civil wars that had military solutions: English (1651), American (1865), Russian (1922), Spanish (1939) and Chinese (1949) and Angolan (1992). A military solution to Syria would probably mean doubling or tripling today’s human toll: 110,000 dead, 2 million refugees, and 4 million displaced people inside Syria. Why would President Putin expend political capital to break eggs and create a new omelet in Syria? For Americans, Syria’s civil war is as distant and exotic as a civil war in Indonesia. For Russians, it is uncomfortably close. For 350 years — from 1568 to 1918 — Russia fought 13 wars with Turkey, then known as the Ottoman Empire. During the entire Romanov dynasty, Russian Czars were either at war with Turkey, or preparing for one. This constant grinding of civilizations – between Christian Orthodox north and Islamic south – paused in 1952, when Turkey joined NATO. But 25 years ago, as the Soviet Union started to collapse, the Muslim inhabitants of southern Russia’s Caucasus Mountains began to rise up. Czarist Russia saw the Caucasus as a northern, rough-edged frontier of the Ottoman Empire. When Russia completed its colonial conquest of the Caucasus in the 1860s, its pacification program included loading survivors on boats and shipping them to Turkey. Some ended up 1,000 kilometers south of the Caucasus, in Syria, which was part of the Ottoman Empire. Fast forward 150 years, and Moscow today faces in Syria a historically familiar alliance of foes: Turkey, Sunni Syrians, and hundreds of volunteer fighters from Russia’s Caucasus. Russia backs the opposing Shia alliance, which stretches from Iran to Alawite Syria and to Hezbollah in Lebanon. As Putin plays geopolitical chess, he may ponder: does a total military victory by Syria’s Alawites benefit Russia? A Sunni Syrian defeat would send hundreds of thousands of more Sunni refugees pouring into Turkey, a migration that could poison modern Russian-Turkish relations. Today, Russia is Turkey’s biggest trading partner. This year, both countries committed to tripling trade flows to $100 billion. A Sunni Syrian defeat would release hundreds of Russian jihadi fighters to bring the war home. Although Russian muftis and political leaders, all salaried by the Kremlin, regularly speak in favor of Assad, they are on shaky ground. About 95 percent Russia’s Muslims are Sunni. 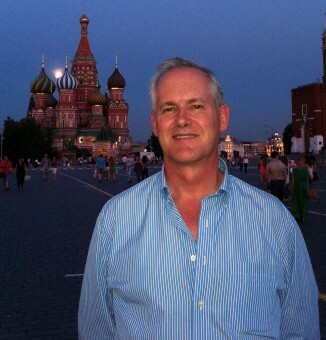 Or will Russia’s foreign policy default to dour and sour? Syria will be the test. The low level insurgency in Russia’s Caucasus is not news — because it is old. But it remains real. As of Sept. 16 of this year, insurgent attacks took the lives of 77 Russian police and soldiers in the Caucasus. By contrast, during the same nine months, 98 American soldiers were killed in Afghanistan, a country with five times the combined population of Russia’s four troubled Caucasus republics. 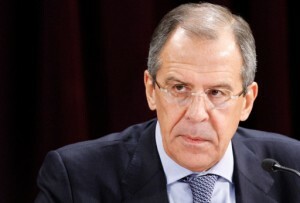 President Putin and his foreign minister, Sergei Lavrov, warn repeatedly that chaos in Syria will have a destabilizing impact on Russia’s Caucasus. Now that Russia has managed to achieve a chemical arms agreement in Syria, maybe the time has come for the Kremlin to use its influence for a political settlement to the civil war in Syria. The Syrian civil war can not be stopped by only the destruction of the Syrian military chemical arsenal, but also by a concrete peace agreement which must not include the Russians. The Free syrian army should seek for the inclusion of some liberal and neutral states in the negotiations for the peace effort to be successful.